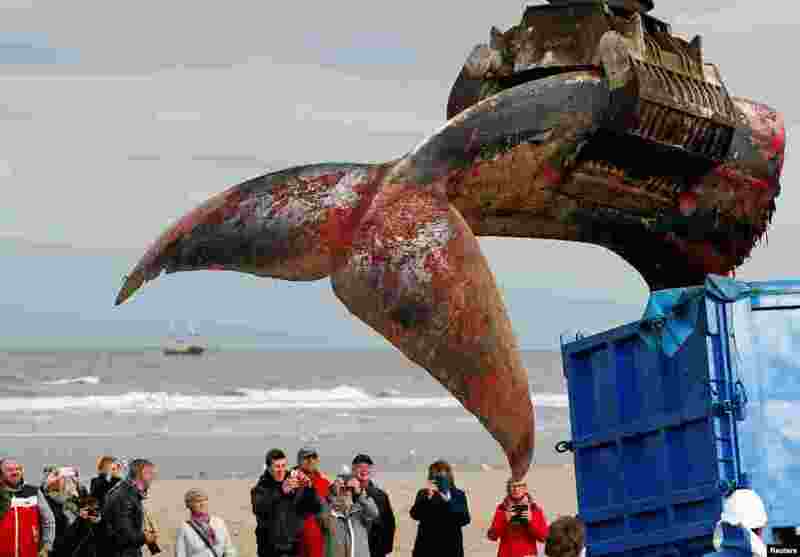 1 The tail of a stranded whale is seen loaded in a truck on the beach of De Haan, Belgium. 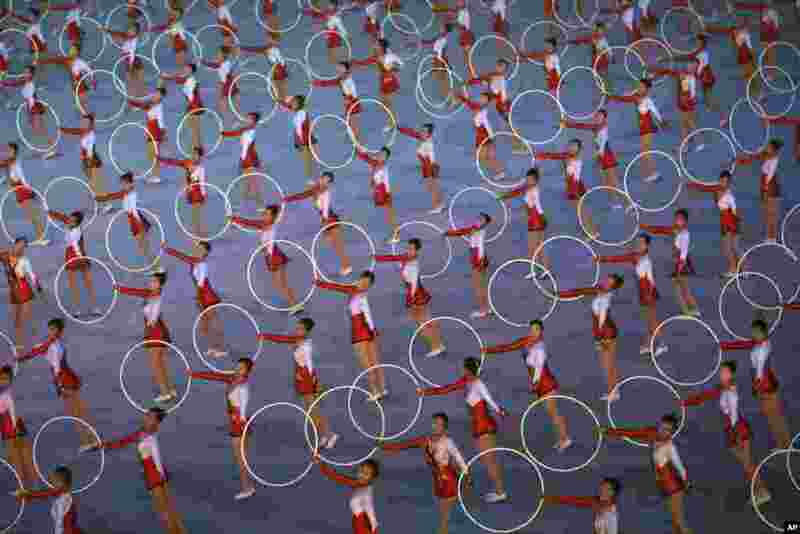 2 Dancers perform during "The Glorious Country" mass games at May Day Stadium in Pyongyang, North Korea. 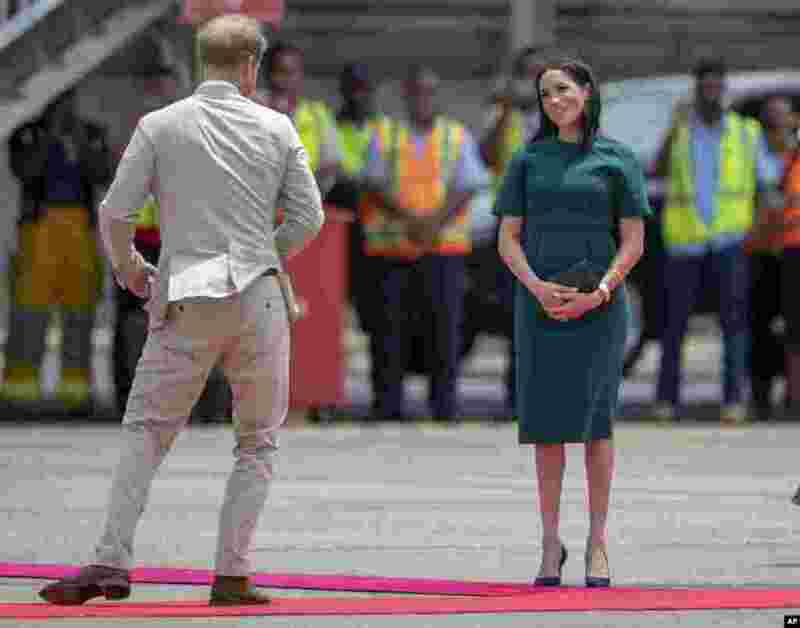 3 Britain's Prince Harry and Meghan, Duchess of Sussex react before boarding their flight from Nadi, Fiji. 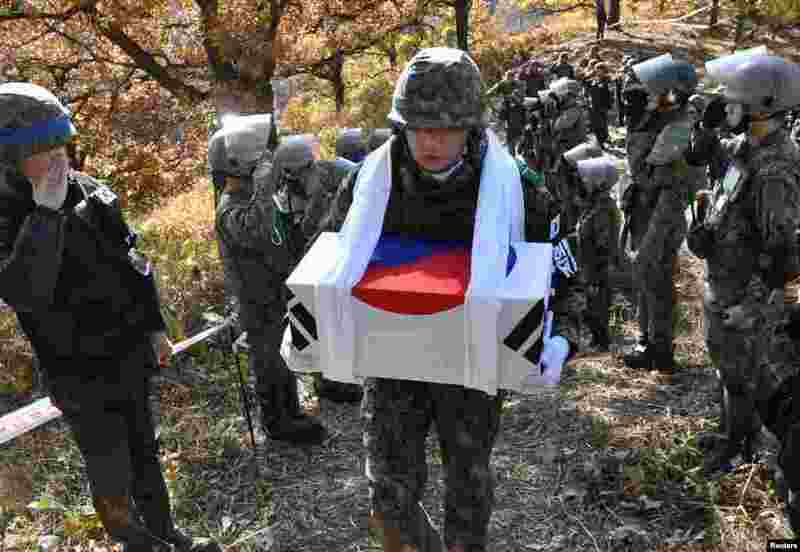 4 A South Korean soldier carries a casket containing a piece of bone believed to be the remains of an unidentified South Korean soldier killed in the Korean War in the Demilitarized Zone (DMZ) dividing the two Koreas in Cheorwon.